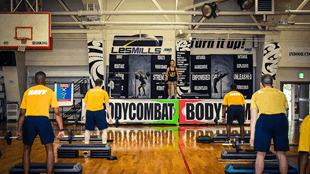 Ask Les Mills Instructor Kiki Cordrey what she loves about teaching group fitness at a US military base in Japan and she’ll swiftly tell you that it’s using BODYPUMP™ and BODYCOMBAT™ to put sailors through their paces and making sure that they’re fighting fit. It’s mostly navy sailors who attend Kiki’s classes and while there’s always a steady attendance, there are a couple of times a year that classes peak. The military have a physical assessment test every six months and many come to Kiki’s classes to prepare. BODYPUMP™ gets them there. 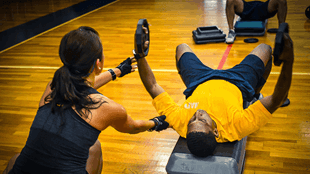 Kiki thinks that those in the Navy like the discipline that BODYPUMP™ provides. She says that the chest and shoulder tracks are always the most popular and the biceps are often a favourite too – but those military boys hate their lunges. BODYCOMBAT™ is also popular. It’s attracts a reaI mix of participants as people love the results it provides. 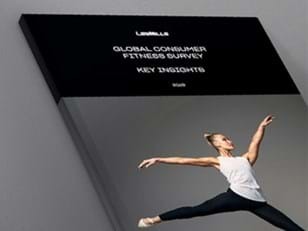 Now Kiki has her sights set on becoming a LES MILLS GRIT™ coach. Not only is high intensity interval training something that she’s really interested in, she knows that it will be something that all of the sailors will be keen on too. At the end of the day they need to be fit and physically prepared for war. BODYPUMP™ and BODYCOMBAT™ are great for this, and with LES MILLS GRIT™ they will be able to take their fitness to a whole new level. We answer questions on the Les Mills cycle programs. We share your advice on looking after new members. We update you on the latest releases, filmed in Shanghai. 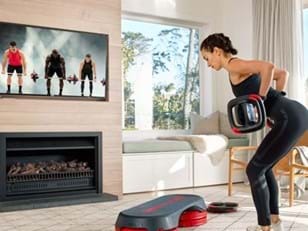 Images from les Mills January filming 2019.